Swagbucks.com had suggested to me that I sign up for Mint.com. It was free and I will earn 90 swagbucks. I thought cool and I could always delete if I didn’t like it. Turns out it is one heck of a tool. I plugged in all my financial data from home value, cars, checkings, and 401k. 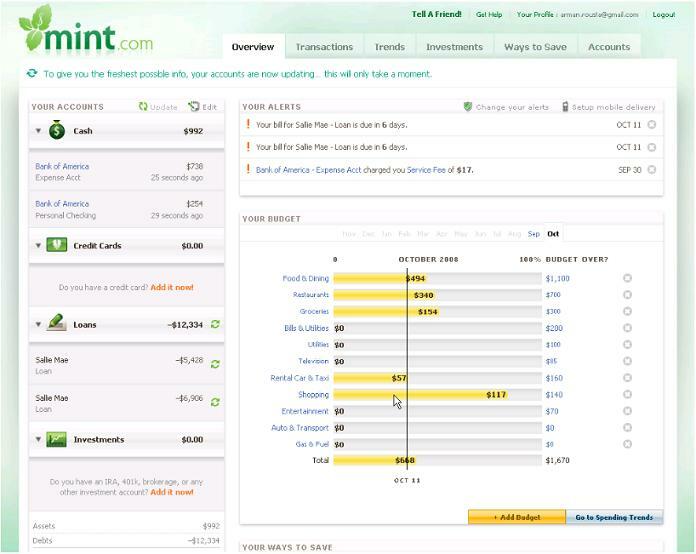 I can set my budget on shopping, utilities, and random credit card spending. There is also a way to calculate how much I need to save up for trips, college funds, and retirement. Everything is right on 1 screen. There are no installations. Set budgets for daily, weekly, monthly spending. I was so impressed with this program, that I downloaded the Free app for my phone. 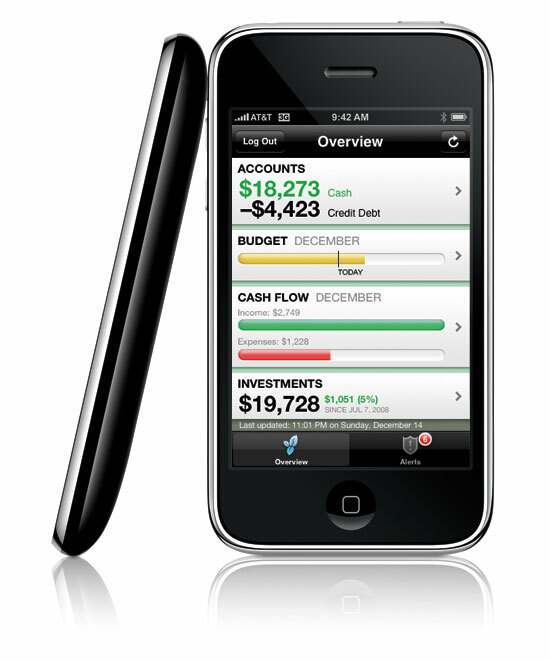 The app keeps informs you of any changes to your accounts and budgets. I would get alerts “You’re $40 over budget.” The only thing that the app does not do is the ability to add accounts and make budget changes. To do so, it is only available through Mint.com’s website.